Heather has been with Drama Kids of the Triad for four years now. She is super excited to meet new students, as well as welcome returning students, and watch them grow and progress throughout the year. Heather received her bachelor’s degree in theatre arts with a minor in dance from East Carolina University. She also has her Early Childhood Credentials for birth to age 5. 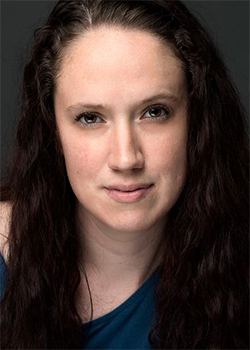 Heather has starred in Shakespeare’s “Comedy of Errors,” was assistant director for Disney’s “Aristocrats Kids” and “The Wizard of Oz,” and was director for an adaption of “Snow Queen” for the local community theater group, POPs, in Okinawa, Japan. Her love for teaching began when her now 3rd and 6th graders were born. She has also been a substitute teacher overseas and for Guilford County, but she truly loves sharing the world with students through the lens of drama! 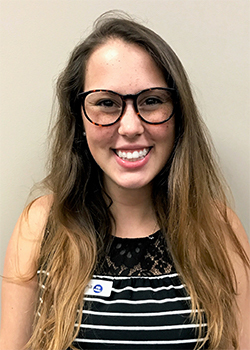 Karen Hincher is a Kernersville native who graduated from Brevard College in 2015 with a degree in Theatre Studies. This is her 3rd year teaching with Drama Kids. In her free time, she loves playing board games, volleyball and hanging out with her husband Adam and their wonderful cats. When not teaching, she is extensively involved in acting, directing, and stage managing for community theater. Karen loves children and believes that drama helps them to be creative and express themselves. Kimberly has been a Lead Teacher with Drama Kids since 2010. She enjoys helping students find something to love about themselves, focus on their own unique potential, and reach beyond what they imagine possible. Kimberly is currently working on a certificate course in American Literature and Culture from Harvard as well as her level 3 certification in American Sign Language. She is a Veteran 20+ year Homeschool Educator and began acting at age 7. Recently, she has appeared in multiple on screen features and background roles in several major motion pictures. In her spare time, Kimberly loves to train and hike with her four dogs, read, sew (she is our resident Drama Kids Costume Designer/Seamstress), write, act and bake. This is Mariana’s second year as a Drama Kids Lead Teacher. She was born in Columbia, South America. She attended Interlochen Arts Academy and she currently studies theater and education at Guilford College. Mariana has performed in various productions, including musical theater, since the age of 10. Her most recent performance was in the show, “Standing on Germany” that she performed at the Scotland Fringe Festival and the Scotland International College Theater Festival. Mariana is so excited to be a part of Drama Kids of the Triad! Elyse has been a teacher for Drama Kids for three years. She recently graduated with a Masters in Speech-Language Pathology from UNCG and works as a pediatric SLP. Elyse also holds a BFA in acting from Elon University and loves combining her passions of acting and speech in her Drama Kids classroom. She is a proud Ravenclaw who enjoys spending time with her son and three dogs. Matthew is a UNCG graduate with a BA in Acting. He has been acting for fourteen years combining his professional and community experience. He also appeared in a short film called “ZX-12,” which went on to be featured in the Cannes Film Festival. 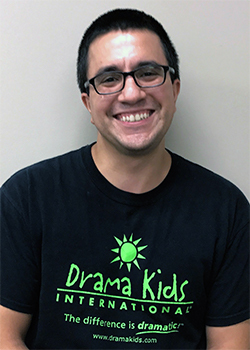 This is Matt’s third year teaching for Drama Kids of the Triad and he is enjoying every minute of it and wouldn’t trade it for the world! This is Nicole’s second year as a Lead Teacher with Drama Kids of the Triad. Nicole has been involved in community theater for over 10 years in Massachusetts where she also attended Lasell College. She is married to Ben, and they have 3 daughters, 3 dogs, 1 cat and 1 bunny. Nicole loves crafting, bird watching, reading, acting and singing. She is excited to be a part of Drama Kids and combine her passion for the performing arts with her love of teaching children! Judy has been a Lead Teacher with Drama Kids of the Triad for over 7 years. She now supports the rest of the teaching staff by serving as our Drama Kids Teaching Mentor. She is originally from Germanton, North Carolina and has been acting since high school. Judy received her Bachelor’s Degree in Math and Physical Education from Guilford College. She taught math in the public school system for many years and then entered the corporate world to work for CPA firms, finally retiring from PAYCHEX, Inc. In her spare time, Judy is involved in community theatre and has performed with the Carolina Skyline Players. However, her most important role to date is playing “Grandmother” to her two grandsons, ages 9 and 15. She is excited to be a part of our Drama Kids family and has a true desire to make a lasting difference in the lives of her students. Caitlin is thrilled to return for her fourth year with Drama Kids of the Triad. Originally from Delaware, Caitlin relocated to Greensboro after receiving her bachelor’s degree in drama from UNCG in 2015. In her spare time, she loves to dance and paint! 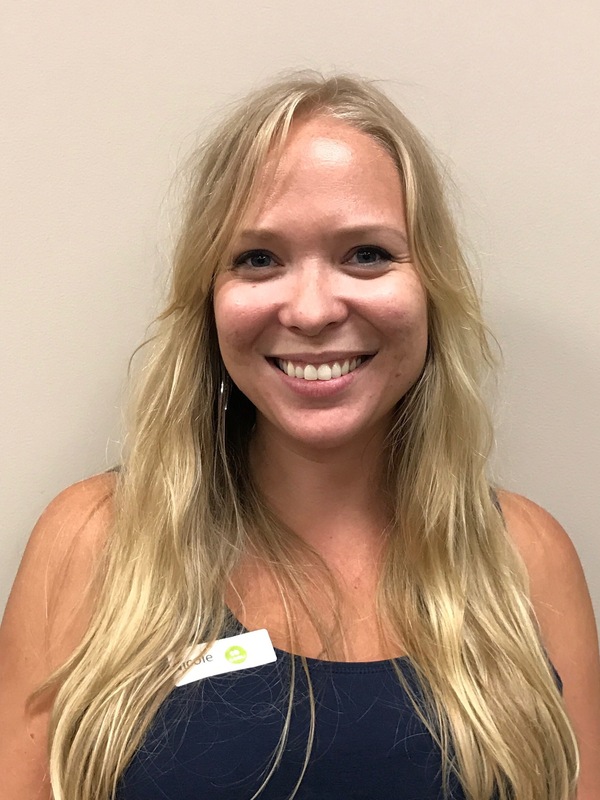 She has over 10 years of experience in the performing arts and every week she combines her love of the theater and her love of youngsters to create one high-energy classroom full of movement, music and laughter. Kelly is going into her sixth year with Drama Kids of the Triad. 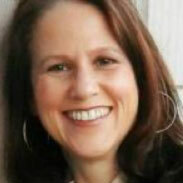 She loves working with children and was a school psychologist in North Carolina for 8 years. She holds her undergraduate degree in Psychology from UNCC as well as her Graduate degree in School Psychology from ASU. Kelly is the mother of three teenagers and her first is starting college this year! She enjoys performing with community ensembles, singing at church, jogging, and playing with her dog. Sally Kinka is a professional playwright, director, puppeteer, and drama teacher, specializing in drama as therapy. She is thrilled to be teaching for Drama Kids. She has over 25 years experience in teaching various forms of drama, including theatre with performers with disabilities. She also runs bedside storytelling at Duke pediatric oncology and an Inclusive Theatre group with City Arts of Greensboro. Daphney Cochran has been very blessed to be a Teacher with Drama Kids for 5 years!! She graduated from Forsyth Tech in 1998 with a Child Development Credentials 1 and 2 degree. She also completed Empire Beauty School in 2016 with a degree in Cosmetology!! She hosts parties and designs nails!! She loves every precious moment with her daughter and family, as well as her church family!! Allison is originally from Durham and is here pursuing her BA in Theatre with a minor in Arts Administration from UNCG. She loves DIY projects, singing, dancing, swimming and eating when not busy with the theater. She has previously worked with the Community Theatre of Greensboro but is very excited to be back teaching for Drama Kids. Allison loves this opportunity to share her excitement for drama with other young minds! Gwendolyn Poole serves as Director of the Liturgical Arts Ministry at Saint Matthews United Methodist Church in Greensboro where she writes and directs for the FirstFruits Drama Ministry and coordinates the DayStar Liturgical Dance Ministry. As a playwright with degrees in sociology and theatre, Gwen enjoys writing pieces that touch the hearts of the audience. One of her greatest accomplishments came when she was commissioned to write a historical drama for a theatre company in Kentucky. Her plays have also been produced by the City Arts Drama of Greensboro, Plaid Players of Burlington, NC and several area churches. For many years, Gwen has had the pleasure of teaching theatre basics to young students and watching them blossom on stage. She is excited to join the teaching staff of Drama Kids. This is Nic’s first year with Drama Kids. He’s a Kernersville native but recently graduated from Indiana Wesleyan University with a degree in Media Communication. The past four years he was part of a sketch comedy group called Friday Night Live. Now that he’s back home he’s working on writing his first TV show while also pursuing a career in acting. His life was changed when his theatre teacher invested in him and he hopes to pay it forward. This is Caitlin’s second year with Drama Kids. 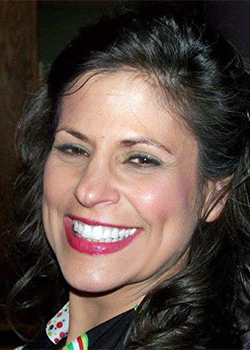 She is actively involved in many Community Theaters, both on and off stage. She enjoys playing the violin, petting her cats, and hanging out with friends. Deidre is a recent graduate with a Bachelor’s in Psychology and Criminal Studies. Throughout her years in college, she discovered her immense love of acting and is glad to be able to share with children through Drama Kids. Her future career plans include working with children so she hopes to be a positive influence through this program. Join our team! Drama Kids is seeking dynamic and fun part time teachers to meet our growing class schedule. Please visit our Contact Us Page and submit your interest.